Honky tonk, hillbilly, Americana, rockabilly, drinkin' songs, thinkin’ songs, truckin' songs, tear jerkers & knee slappers... often in the same song! Get your late night twang fix at the Friday Nite Truck Stop! Two high octane hours of honky tonk, hillbilly, rockabilly, drinkin' songs, truckin' songs, hurtin' songs, lovin' songs, tear jerkers and knee slappers. May. 3, 2019 Ray Harris & Lefty! Apr. 19, 2019 Ray Harris & Lefty! Apr. 12, 2019 Ray Harris Cowboy songs, Linda songs, Bayou songs, other extremely cool songs... Americana, baby! Mar. 15, 2019 Ray Harris & Lefty! Mar. 8, 2019 Ray Harris A salute to the late producer Fred Foster, cool new stuff from Kevin Welch, Jason Ringenberg, Renee Wahl + a smokin' NEW track from Tami Neilson! AND...all the rockin' honky tonkin' Americana amazingness that you've become accustomed to! 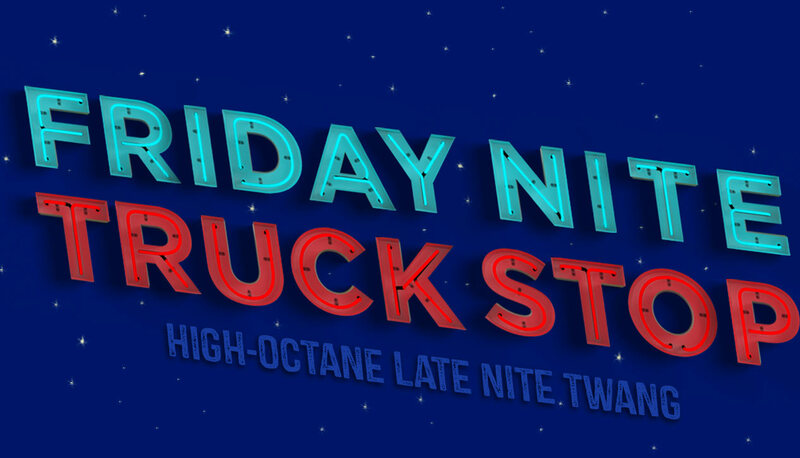 Get your late night twang fix at the Friday Nite Truck Stop! Two high octane hours of honky tonk, hillbilly, rockabilly, drinkin' songs, truckin' songs, hurtin' songs, lovin' songs, tear jerkers and knee slappers. Guest musicians and local listings galore! Email us at truckstop@ckcufm.com for requests, or if you're a musician and you want to appear on the show!